Mr Jain, former dean of two of the world's leading business schools - the Kellogg School of Management in US and INSEAD in France. Dipak Jain is an alumni of Gauhati University and the University of Texas. 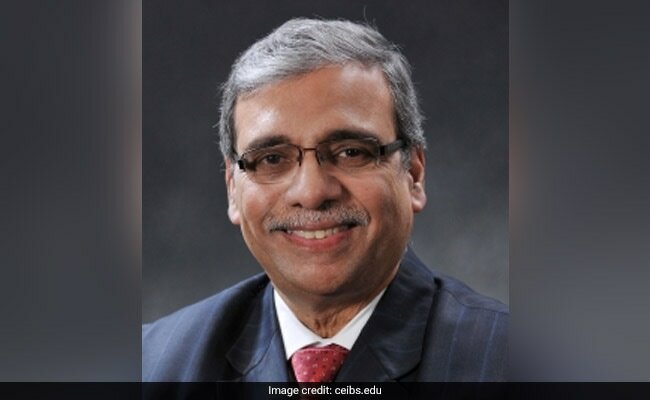 Dipak Jain, a prominent Indian professor in the US, has been appointed as the new head of a top global business school in China according to a media report. Mr Jain, 61, will take over as the European president of the Shanghai-based China Europe International Business School (CEIBS), replacing Pedro Nueno who was appointed president in 2005. Mr Jain, former dean of two of the world's leading business schools - the Kellogg School of Management and INSEAD - will work alongside his Chinese counterpart Li Mingjun. "We are targeting any individual who has an interest in China. Someone who might want to work here and perhaps try and create something here; an individual who is trying to build a bridge between this part of the world and anywhere else," Mr Jain said. "This to me is the real CEIBS thing-leaders who have an interest in China or the region," he was quoted as saying by the China Daily. Exuding confidence that the new role will grant him the opportunity to study a country that he has seen mainly from outside, Mr Jain said he put forth the importance of business education to "put structure on unstructured problems". Brought up in Assam, Mr Jain, who lives in Chicago and works in Shanghai for 10 to 15 days each month, has been teaching marketing at CEIBS since September last year when he took on the president-designate role.